3DMark03 is a benchmark that uses mainly a DirectX 8 featureset including several pixel fillrate tests. I included this test in the review to see an approximation of how well old games will play on the current gen cards, as well as how well each card copes with the fillrate tests. Here we can see that surprisingly the Asus 8800 GT does very well at the lower resolution and both G92 parts beat the 8800 GTX tested.When the resolution was upped, the 8800 GT comes out 2nd again with the bigger brother, the 8800 GTX taking the win. 3DMark05 is a benchmark based on DirectX 9 with more advanced shading and bump-mapping techniques, as well as a tough CPU test integrated. 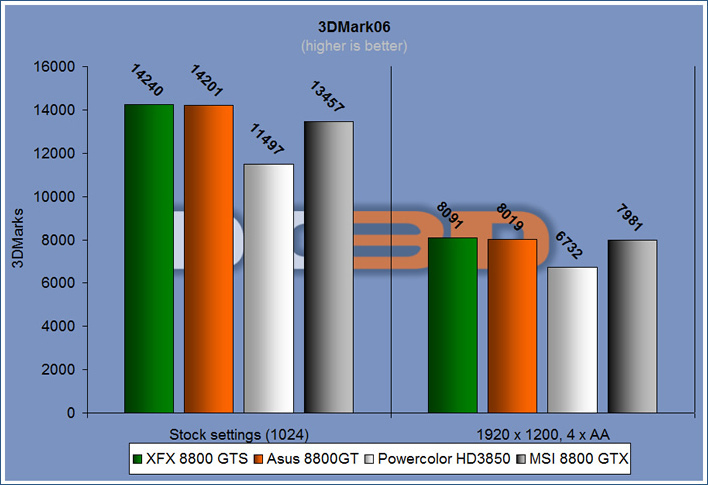 Here again the G92 parts outpace the 8800 GTX G80 part in both benchmarks. We see that the 8800 GTS is only just quicker in these tests. 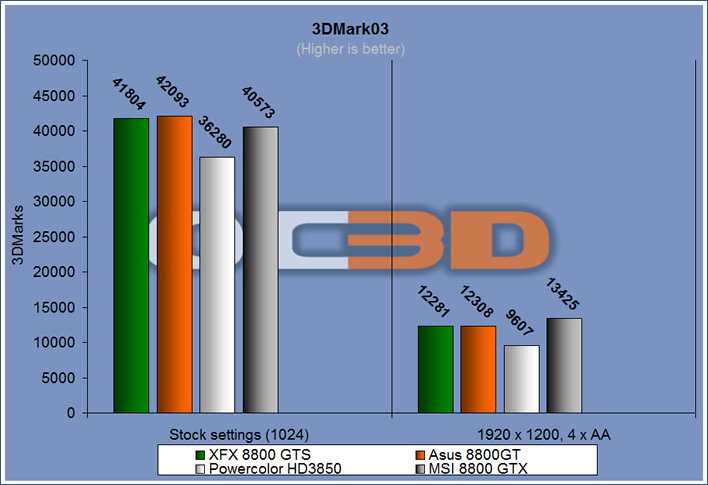 3DMark06 is a more complex 3D benchmark, using many of the more advanced techniques found in DirectX 9.0c such as utilising Shader Model 3.0 and HDR lighting to create a tough benchmark that stresses the GPU and CPU. 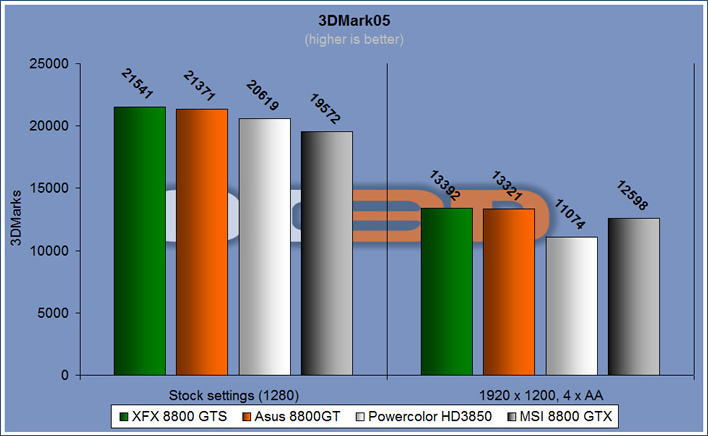 Here we see a similar result with the XFX 8800 GTS just about stepping ahead of the Asus 8800 GT, but not by much. The 8800 GTX is a little off the pace here again.